Comments Off on Monitoring whales in Argentina, gold mining and deforestation in Peru, and measuring biodiversity in the Amazon. More than 400 new species have been cataloged in the Amazon, says the World Wildlife Fund. Whales off the Argentine coast have been monitored with aerial photography for 30 years. Credit: Mextdf via Flickr. 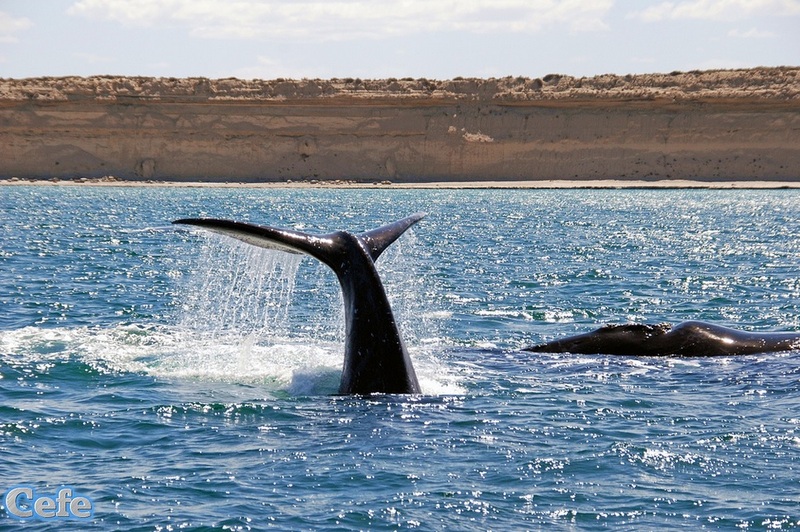 Argentine scientists have been studying whales off the coast of Patagonia for more than 30 years. Monitoring has been happening off the coast of the Península Valdés and 150,000 aerial images of 2,850 whales have been taken. Scientists at the Universidad Nacional de la Plata are working on finding natural insecticides to control mosquitoes using the bacteria Bacillus thuringiensis. Researchers at the Universidad Nacional del Litoral have designed a kit to detect celiac disease, an under-diagnosed disease in Argentina. The kit uses magnetic particles to help in the measurements. Scientists at the Universidad Nacional de Chile have obtained promising results from a therapy to combat prostate cancer that uses activated immune system cells. They used the TAP-Cell technique on 20 patients resistant to other therapies and showed results in controlling tumors. The results were published in the British Journal of Cancer. Chilean researchers have been prized for advancing the field of skin grafting. Inbioderm+C uses a porous membrane to embed stem cells and has been approved by Chile’s Instituto de Salud Pública (Institute of Public Health). Mexican journalist Guillermo Cárdenas Guzmán was prized for his work “Ciencia germina en tierra maya” (Science germinates in Mayan lands) that looks at preservation and improvement of plants for applications in medical and agroindustrial industries. The butterfly Baronia brevicornis which lives in Mexico and lived alongside the dinosaurs is at risk of extinction, say French and Mexican scientists. Gold mining has tripled the rate of deforestation in Peru, says a new report in the journal PNAS.